It is a common knowledge, that rapid non-destructive characterization of object & defects in uniform materials or under coated surfaces is one of the primary applications of terahertz (THz) imaging technology known to date. Terasense technology is predicated on standardized processes widely used in semiconductor manufacturing for mass-market, which allows us to claim a reasonable price and ensure high-performance and fast response rate. We clearly realize that Terasense is by far not the only player in the terahertz market. However, we are always happy for achievements made by our colleagues at various universities, scientific organizations and research institutions, some of which happened to be our customers! 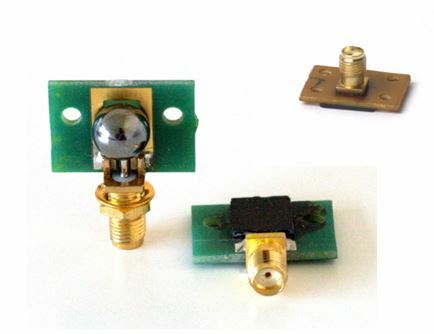 Our counterparts at Heinrich Hertz Institut, Fraunhofer Institute for Telecommunication, Berlin seemed to have achieved certain success in reducing the size of sensor heads (THz detectors) and, consequently, making them more cost-effective. 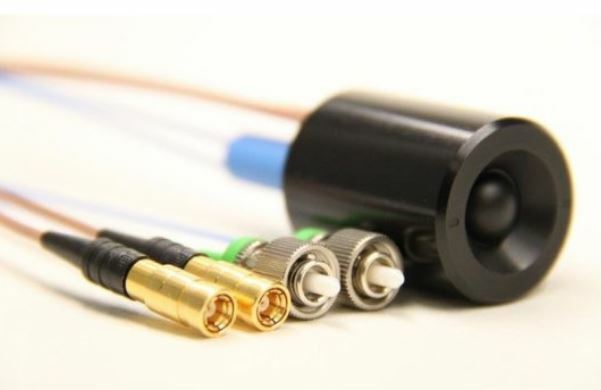 The researchers at Fraunhofer have packaged the transmitting and receiving unit for terahertz radiation into a handy little sensor head with a diameter of only 25 and a length of 35 millimeters. This accomplishment by Fraunhofer Institute has very high chances to give terahertz technology a decisive boost. The research team of Thorsten Göbel, who heads the Terahertz Research Group at HHI, has succeeded in developing terahertz devices that for the first time are made from standard and therefore low-cost components and are also relatively easy to handle. At the Hannover Messe, the experts will be presenting a terahertz measuring system with an innovative sensor head, which allows easy testing of various components, such as plastic tubes. The principle employed by Fraunhofer HHI for generating terahertz radiation is based on an optoelectronic method. Using a special semiconductor, laser light pulses are converted into electrical terahertz pulses that are only one billionth of a second long. Well, TeraSense team most sincerely wishes success and more power to our counterparts at HHI research group at Fraunhofer in all their research and commercialization endeavors! Of course, we will continue keenly monitor their progress!